If you’re trying to grow a small business, you’ve probably heard the term “Content Marketing” thrown around here and there and you’ve wondered what it is. 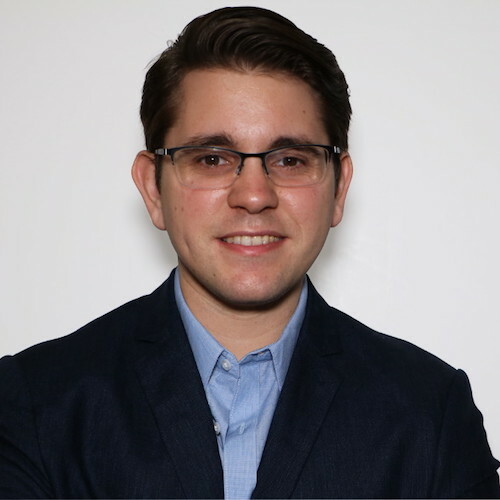 Well, as a marketer, I use content marketing with my clients and I find that it’s really effective at helping them to get traffic to their websites, build brand awareness and build trust with their potential customers. Also, it’s a great way to get leads that they can ultimately sell to. 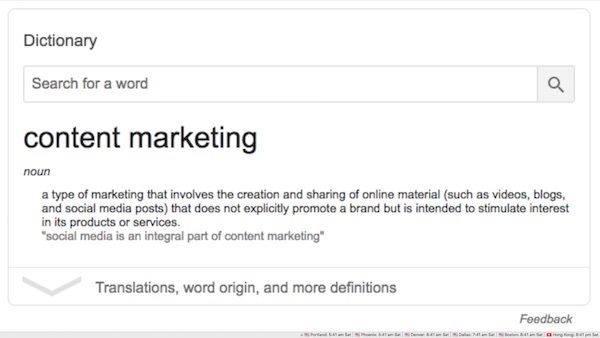 So what is content marketing and why should you really care? We’ll start with the definition. 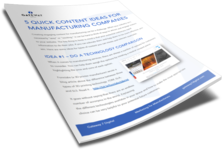 In essence, content marketing is about attracting an audience. Now, when you think about traditional marketing, it’s about interrupting people. So, for example, you’re on YouTube and you’re watching a YouTube video. Then, suddenly, an ad comes up for who knows what. And it could be completely unrelated to the video you’re watching. This is a form of interruption. The same is true with any kind of television or radio commercial or telemarketing call, things of that nature. These are interrupting what you do. Content marketing is exactly the opposite because it’s about attracting people with your content. That means that you can create blogs or videos or infographics or really any kind of content that people might be interested in. And you’re creating content that’s related to the industry you’re in to attract them and make them aware of your company and what you do, so that they’re kind of “in your world,” so to speak. And perhaps they will consider you in the future when they’re thinking about making a purchase. Let’s take a look at an example of content marketing in action. Say, for example, you want to know how to measure a corrugated box. 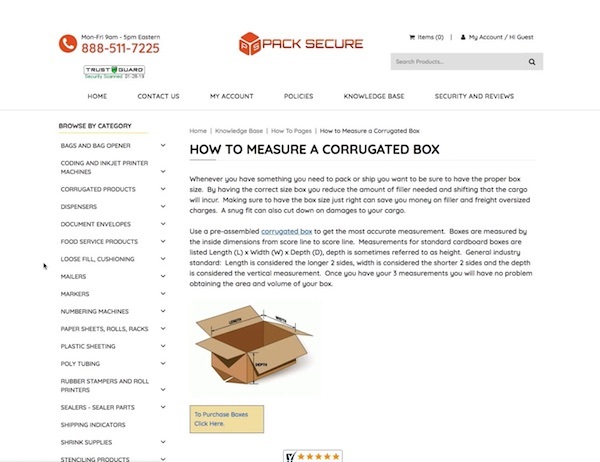 So, you click on that and now you’re at an article about how to measure a corrugated box. And it will tell you how to look at the length and width and depth of the box. These are all relevant details that you want to know when you’re thinking about buying corrugated boxes. Another thing you’ll notice is that this company happens to sell… guess what… corrugated boxes. So, if at some point you want to purchase them, you are now familiar with this brand and they may come into your mind when you’re thinking about making your purchase. So, that’s just a little example of content marketing. You may be wondering, does that really work? 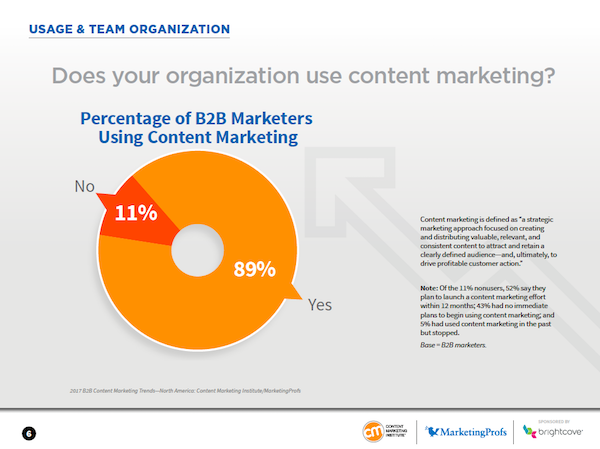 Well, let me put it this way… 89% of B2B companies are doing content marketing right now. That means that, if you’re not doing it, you sort of have the potential to fall behind. The first stage is Awareness. that’s when the buyer realizes they have a problem. The second stage is Consideration. That’s where they define their problem and they start researching options to solve it. The third stage is Decision. 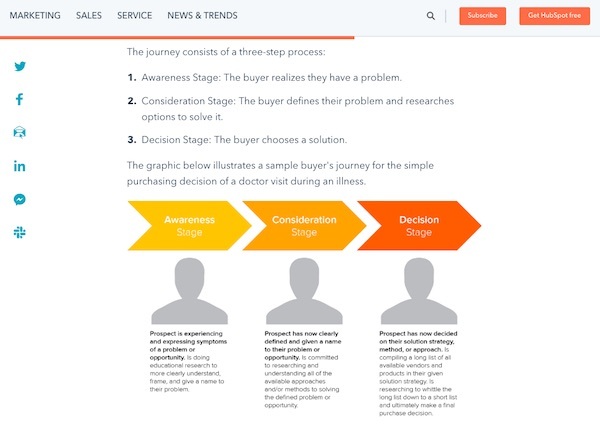 That is where the buyer chooses a solution and makes their purchase. Now, with this in mind, what you have to consider is those first two stages, awareness and consideration, are really primetime for you to get in front of them before they ever get to the point where they’re looking at companies to help them solve their problem. So, if you get in there early, you have a more of a chance to stick in their mind through this whole process. And then, once they get to the point where they’re ready to make a decision, you’re on their short list. You want to be getting in front of them with content that they are looking for, based on questions that they have in their mind… Things that they’re trying to figure out before they get to the point where they’re ready to make a decision. So what type of content will you create? Hopefully, by now, you understand what content marketing is and why it’s important. Remember that lots of companies are doing this and they’re doing it for a reason. No matter what industry you are in, content marketing is important. There’s no doubt about it. Sign up for my newsletter and I’ll notify you the next time I post a new video or blog article. Subscribe to the Gateway 7 Newsletter and be the first to know when I post new content. You'll also be subscribed to the Gateway 7 Digital mailing list and take your marketing to the next level!